Specialty: Leader in satellite communications technology, Developed & Manufactured Telecommunications products, Embedded systems, mobile & satellite phones, two-way radios & networking systems, and Quasar Televisions. Introduced the world's first hand-held mobile phone and first pager. Major Semiconductor manufacturer. MC6800, MC68000 & PowerPC Microprocessors. 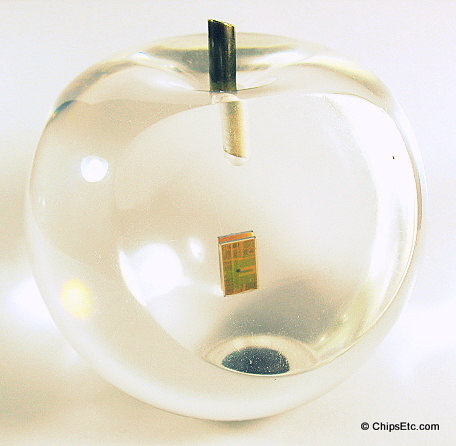 This Lucite paperweight features a Motorola Semiconductor chip sample from a large American electronics parts distributor named Sterling Electronics Corp. 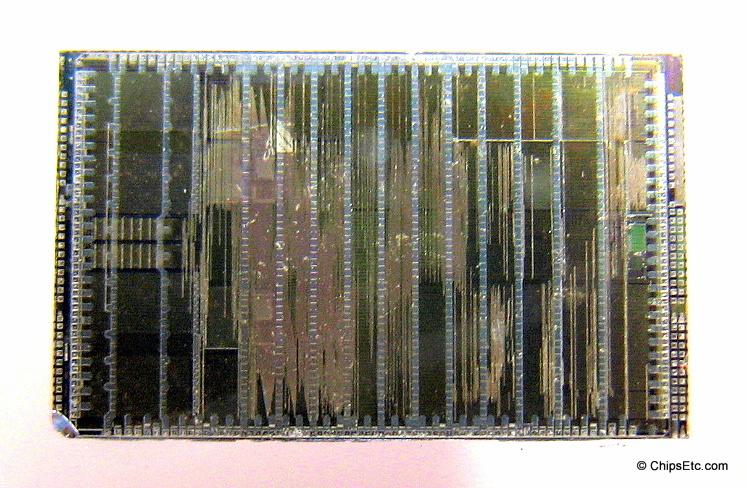 The Motorola MC1709 (1709) was a Monolithic Operational Amplifier chip. 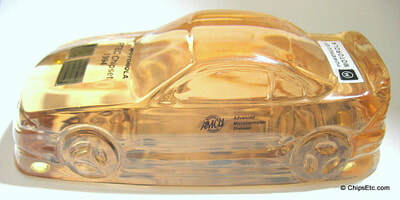 This chip sample is a gold 14-leg plastic DIP package with manufacturing date code of February 1975. 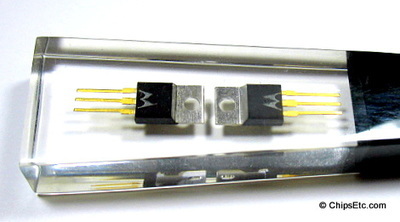 This Lucite paperweight features both an assembled & cut-away examples of a Motorola Semiconductor MR322 / MR326 5-18 amp Diode. These press-in, cathode based, Silicon Diodes were manufactured by Motorola at their Phoenix, AZ site for general purpose use, but were primarily used as rectifiers in automotive alternators. 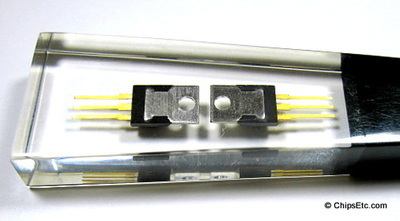 This promotional Lucite letter opener features two Motorola power transistors in TO-220 plastic packaging with gold leads. 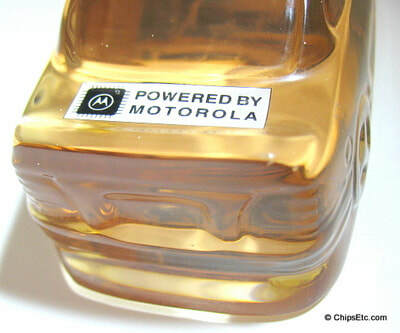 The transistors are custom marked with the Motorola "M" logo. 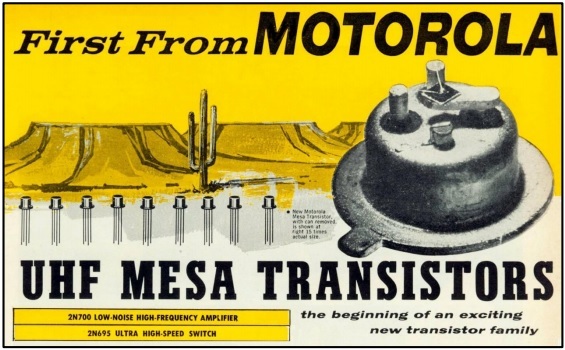 Motorola's power transistor was designed for power amplification & switching service in consumer, automotive & industrial applications. The hole at the top of the transistors is for mounting them to a heatsink. 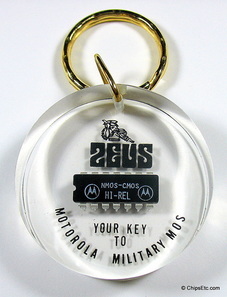 This Lucite keychain features a Motorola NMOS CMOS High Reliability Military Chip. Throughout the 1980s, Zeus Components Inc. of Port Chester, NY was one of the largest authorized distributors of military/aerospace chips from more than 30 semiconductor manufacturers including Fairchild, Intel, Motorola, VITESSE & Unitrode. 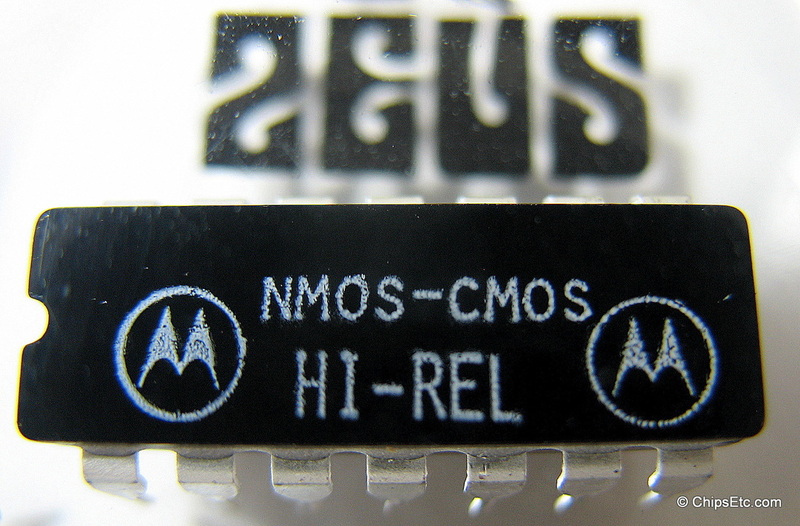 Both Motorola and Intel would end their military semiconductor businesses in the early 1990s. This sample Motorola military chip is a 14-leg ceramic DIP IC package, manufactured in South Korea, and special marked with twin Motorola logos and contains the Zeus logo on top. 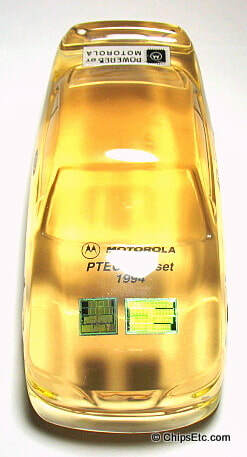 The Motorola 68020 is a 32-bit Microprocessor from Motorola, released in 1984. 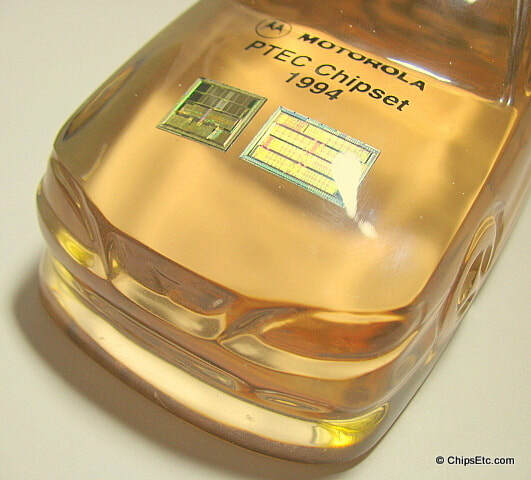 It was the successor to the Motorola 68010 and was succeeded by the Motorola 68030 Microprocessor. The 68020 was used in the Apple Macintosh II and Macintosh LC Models of personal computers, as well as in the Sun Alpha Microsystems AM-2000. The Commodore Amiga 1200 computer and the Amiga CD32 games console used the cost-reduced 68EC020. It is also the processor used on board TGV trains to decode signaling information which is sent to the trains through the rails. The 68020 was used in military applications for the flight control systems of the Eurofighter Typhoon combat aircraft. Other applications included uses in PC workstations and in the Hewlett Packard 8711 Series Network Analyzers. In October 1991 At the Microprocessor Forum, IBM and Motorola outline a four year road map of PowerPC processors, starting with a low-cost desktop processor, and culminating in a high performance processor for servers and workstations. A month later IBM announced the PowerPC 601 microprocessor. Exactly one year later At the 1992 Microprocessor Forum, IBM and Motorola formally announce the beginning of production of PowerPC 601 microprocessors, in 50 MHz and 66 MHz versions. PowerPC (short for "Power Performance Chip") incorporated an integer unit, a floating-point unit, and 32 MB cache. 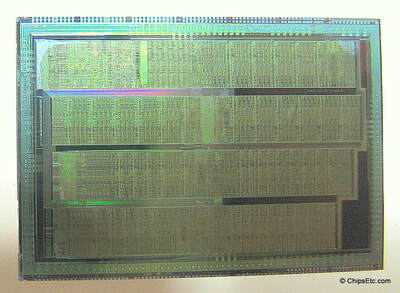 Both IBM & Motorola manufactured the processor using 0.6-micron CMOS technology, with 2.8 million transistors per chip. 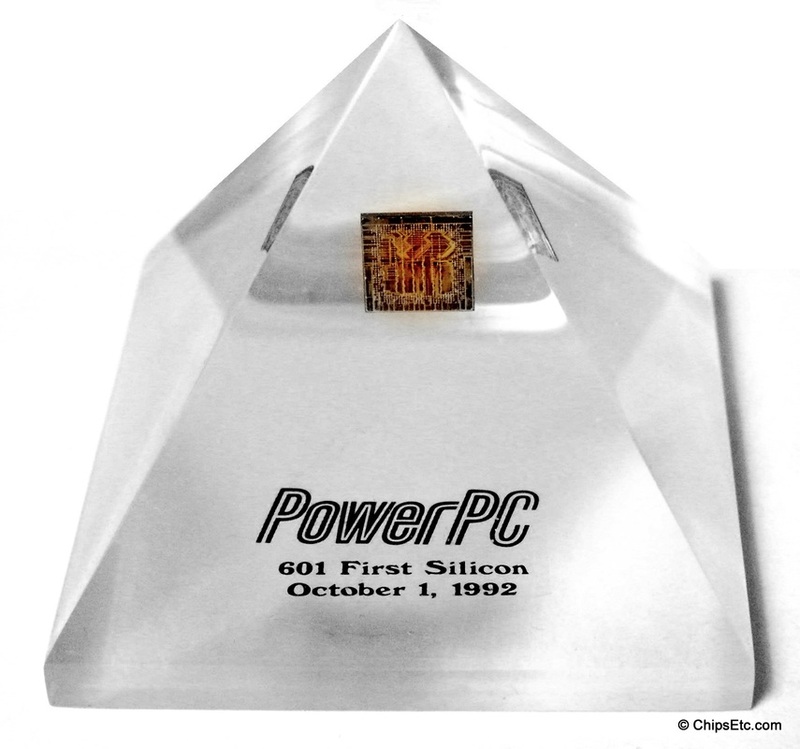 Apple first used the PowerPC 601 CPU in it's Apple Power Macintosh computer in March 14, 1994. 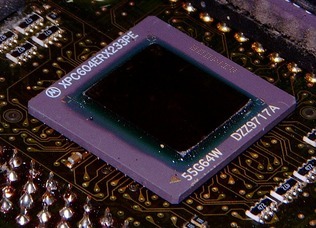 The IBM PowerPC 601 chip was the first version of a RISC processor developed jointly between IBM Microelectronics and Motorola. The PowerPC 601 was the first generation of microprocessors to support the basic 32-bit PowerPC instruction set. The 601 processor ran at speeds of 55-80Mhz. IBM was the sole manufacturer of the 601 microprocessors in its Burlington, Vermont and East Fishkill, New York production facilities. 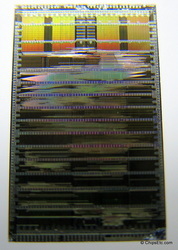 The 601 was manufactured using IBM's CMOS-4s process. First launched in IBM systems in the fall of 1993, it was marketed by IBM as the PPC601 and by Motorola as the MPC601. It operated at speeds ranging from 50 to 80 MHz. It was fabricated using a 0.6 µm CMOS process with four levels of aluminum interconnect. 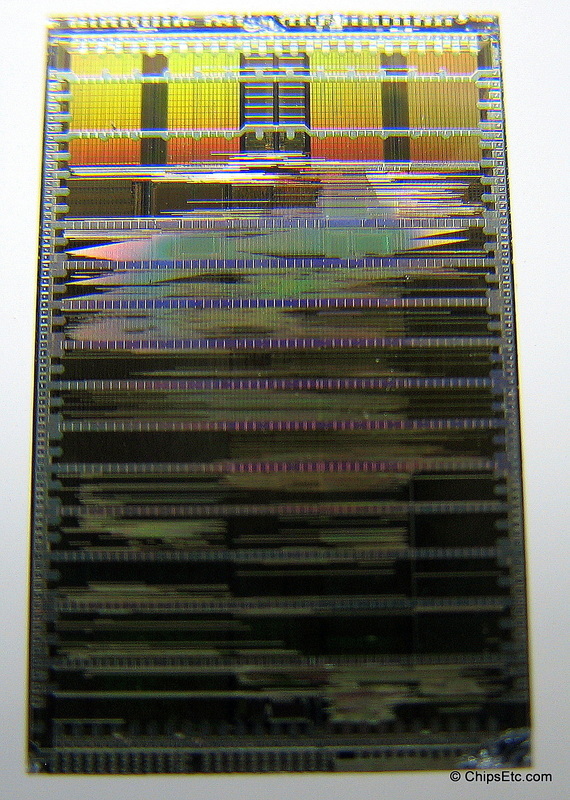 The die was 121 mm² large and contained 2.8 million transistors. The 601 has a 32 kB unified L1 cache, a capacity that was considered large at the time for an on-chip cache. Thanks partly to the large cache it was considered a high performance processor in its segment, outperforming the competing Intel Pentium processor. 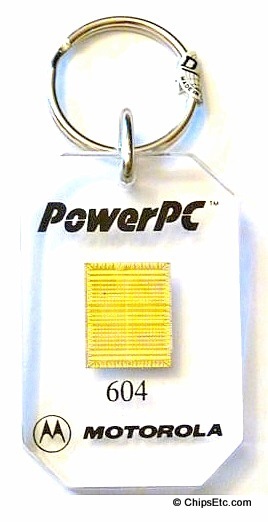 The PowerPC 601 was used in the first Power Macintosh computers from Apple, and in a variety of RS/6000 workstations and SMP servers from IBM and Groupe Bull. Stick-on promotional button has a real power PC chip encased inside enamel for viewing. 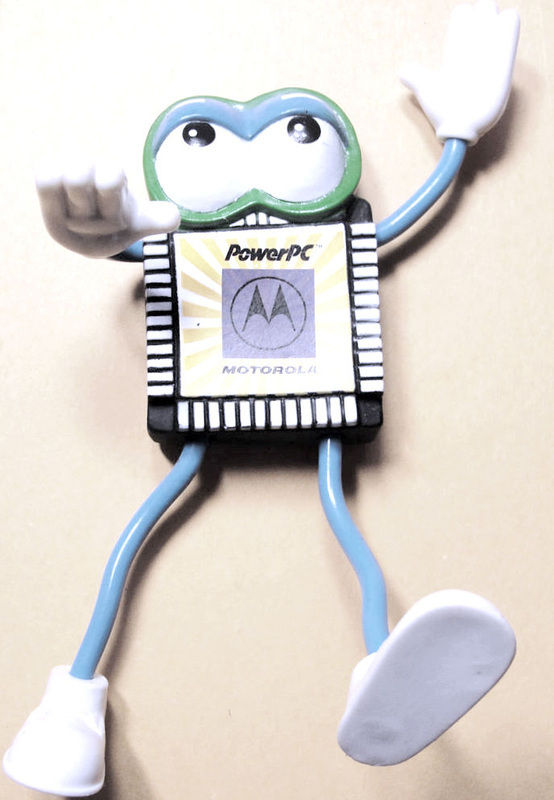 Bendable character figure advertising Motorola's PowerPC chips. 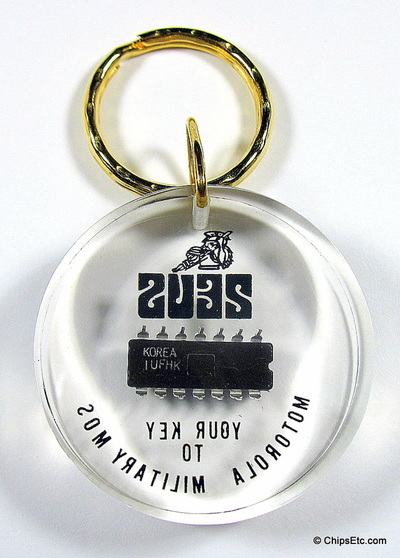 Ths Lucite keychain was given out at the CES Computer & Electronics show in 1993. It features a real Motorola 601 PowerPC Microprocessor. 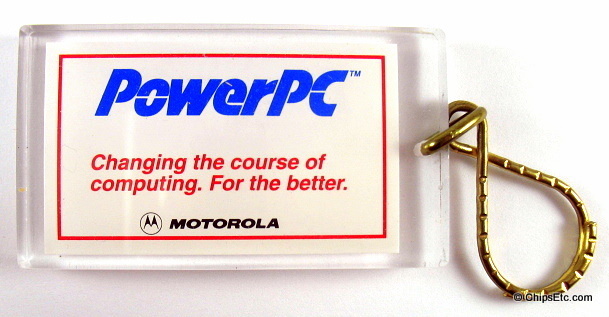 Back of keychain reads "PowerPC, Changing the course of computing. For the Better. 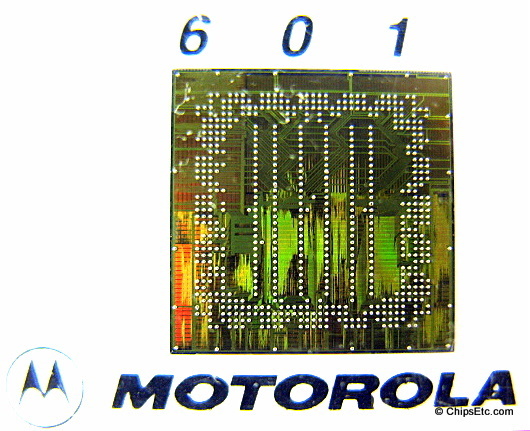 Motorola"
The Motorola MPC505 microcontroller was the first offering in a new family of microcontroller chips that featured a reduced instruction set (RISC) 32-bit architecture based on the PowerPC architecture. The MPC505 was designed to operate at 3.3 volts. 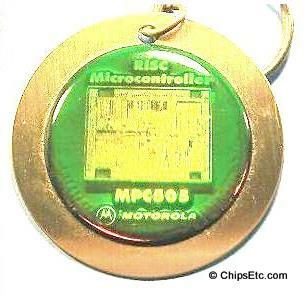 The Motorola MPC505 chip featured 4-Kbyte of On-Chip Level 1 instruction Cache & 4-Kbyte On-Chip Static RAM memory (SRAM). 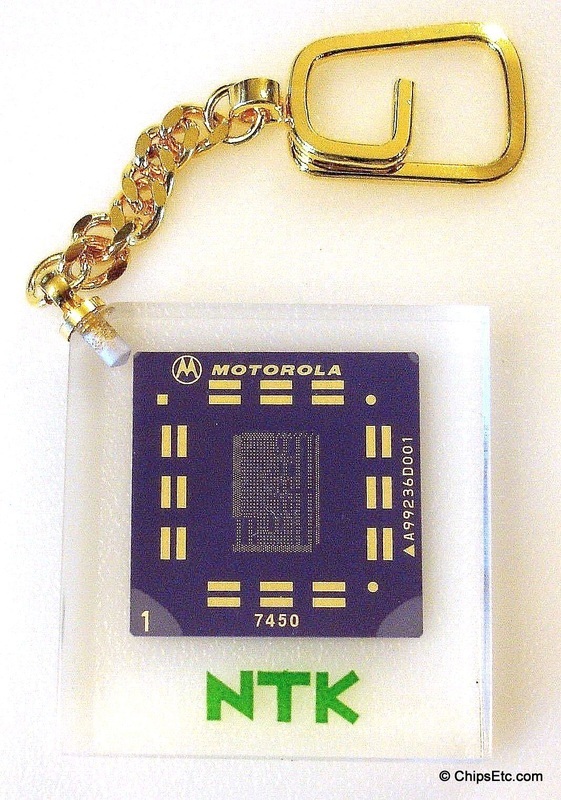 This brass keychain Fob features a holographic image of the Motorola MPC505 RISC microcontroller chip on it, as well as the Motorola logo at the bottom. Acrylic paperweight in the form of a 1994 Ford Mustang that features actual Motorola PTEC Automotive engine control chips that were designed and manufactured by them for use in Ford Motor Company vehicles. 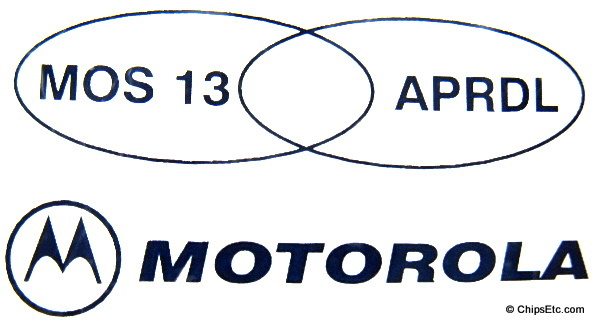 In June of 1991, Ford's Electronics Division announced they would partner with ﻿Motorola﻿ Semiconductor Products Sector to supply them with future automotive electronic engine & transmission microcontroller chips to be used in Ford's upcoming PTEC (Powertrain Electronics Controller). The PTEC controller was originally going to use a MC88300 32-bit embedded RISC microprocessor chip that Motorola had in development but would later cancel. Ford choose instead to use Motorola's new custom designed 32-bit RISC based PowerPC microprocessor chip. The two-chip PTEC powertrain control system came with 28K of RAM memory. 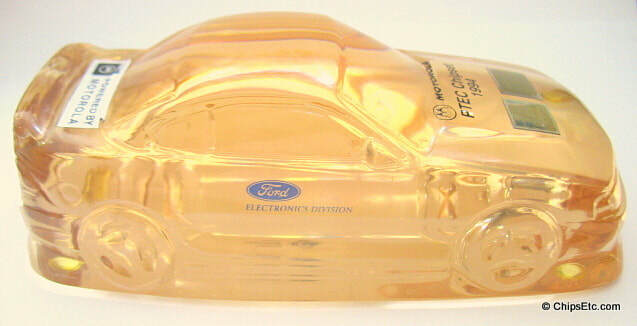 The PTEC microcontroller systems were used in Ford vehicles starting in 1994, replacing the Intel designed EEC IV microcontroller chips that Ford had used since back in 1983, and were more than two generations ahead of the aging Intel - Ford CISC based microcontroller chips. The new PTEC powertrain management computer offered improved reliability, drive-ability, performance, fuel efficiency, and lowered emissions, as well as improved diagnostics. The open architecture of the PowerPC RISC design led to lowered future development costs and also allowed for Ford to add more vehicle functions to PTEC in the future. "Team XXI" was formed by numerous technology companies to compete for the U.S. Army's contract for Force XXI Battle Command Brigade and Below (FBCB2) which was an Army campaign to use computer automation technology as a combat asset for soldiers and military vehicles. The contract was to provide enough devices to equip an Army brigade by 1996 (Brigade 96). The system was composed of hardware and software which would be mounted on Army ground vehicles and helicopters, interconnected by their radio systems. 400 smaller computer systems communicating with the battlefield network would be available to combat soldiers on foot. One competing team (represented in this paperweight) was composed of: GTE Government Systems, Loral Command and Control Systems, Motorola Government and Systems Technology Group, Engineering Professional Services, General Dynamics Land Systems, BDM Federal Systems Inc., and Unixpros, Inc.
TRW would eventually be awarded the prime contract for FBCB2 by the U.S. Army's Communications Electronics Command in December 1994. 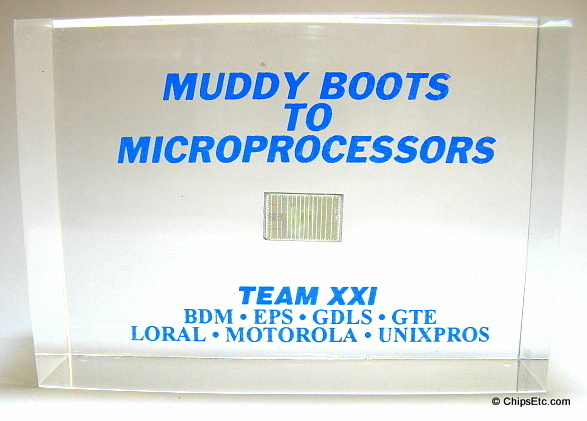 Lucite Paperweight reads: " Muddy Boots To Microprocessors . TEAM XXI . BDM . EPS . GDLS . GTE . LORAL . 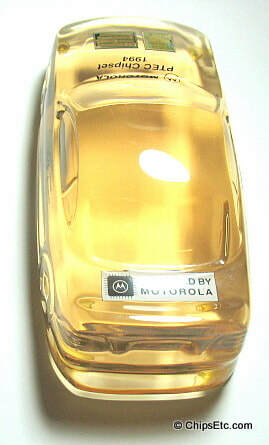 MOTOROLA . UNIXPROS "
The PowerPC 604 chip was a super-scalar RISC processor developed jointly between IBM Microelectronics and Motorola. These processors were targeted for general-purpose desktop computing and were used in the Apple Power Macintosh line of personal computers and in Mac clones. 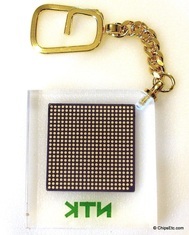 ​An AIM (Apple / IBM / Motorola) designed processor, the major design contributor was IBM. Apple contributed some of it's circuity design ingenuity and specifications, Motorola contributed it's vector engine (AltiVec, which Apple calls Velocity Engine). 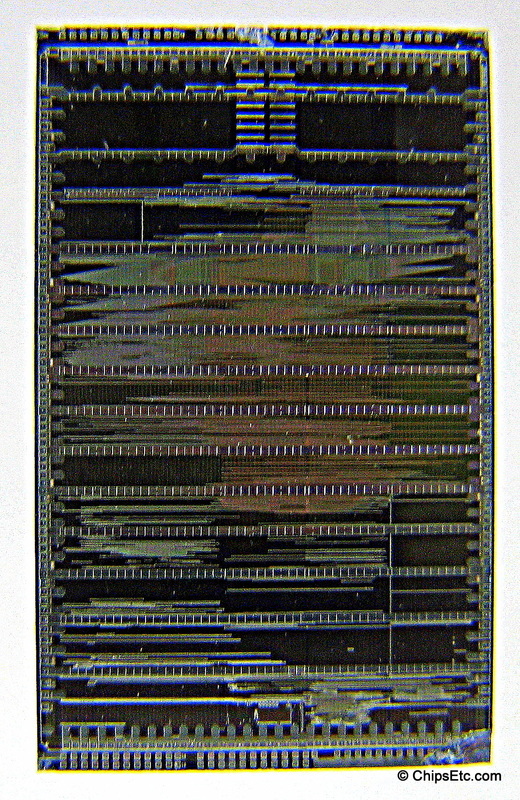 The processor was mostly a spin-off of IBM's multi-chip Power 4 architecture. The PowerPC 604 was introduced in December 1994 alongside the 603 and was designed as a high-performance chip for workstations and entry-level servers and as such had support for symmetric multiprocessing in hardware. The 604 was used extensively in Apple's high-end systems and was also used in Macintosh clones, IBM's low-end RS/6000 servers and workstations, Amiga computer video accelerator boards, and as an embedded CPU for telecom applications. 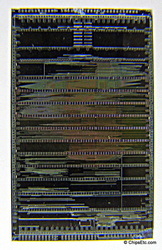 The 604 was a super-scalar processor capable of issuing four instructions simultaneously. 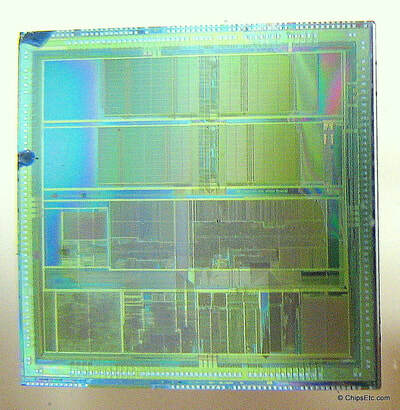 The PowerPC 604 contained 3.6 million transistors and was fabricated by IBM and Motorola with a 0.5 µm CMOS process. The die measured 12.4 mm by 15.8 mm. It operated at speeds between 100 and 180 MHz. 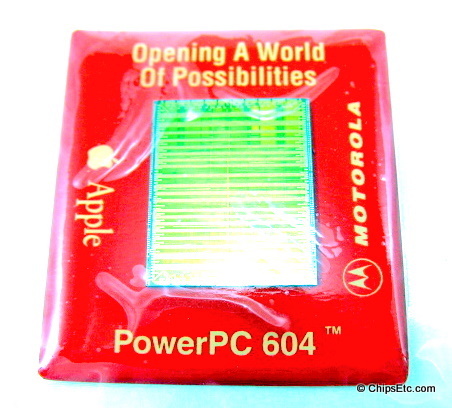 This stick-on promotional button has a real PowerPC chip encased inside enamel for viewing. New and unused including adhesive backing. Measures 1" square. 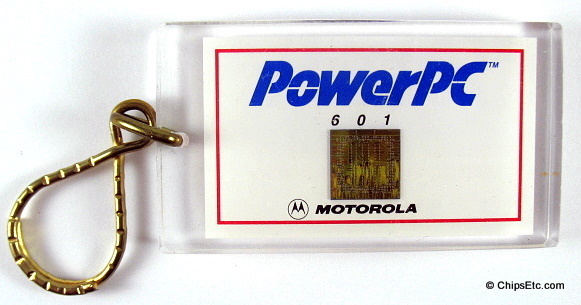 Motorola PowerPC Lucite keychain with a real Motorola 604 chip used in the Apple PowerPC line of desktop and portable computers. 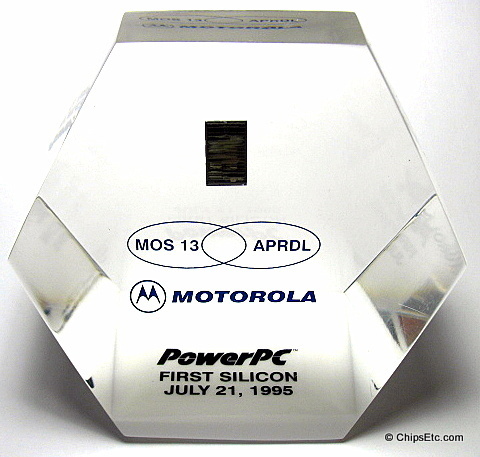 Lucite paperweight featuring a Motorola PowerPC 603 processor chip that was manufactured at Motorola's MOS 13 wafer FAB in Austin Texas. 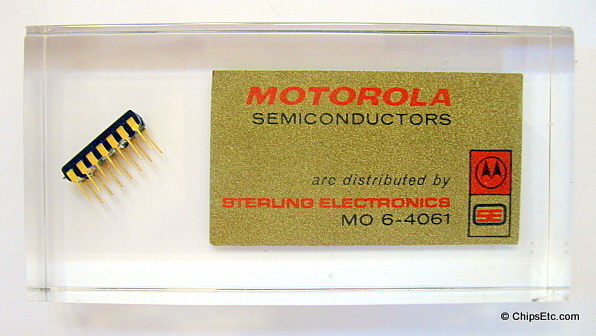 Motorola developed this processor at it's Advanced Products Research and Development Laboratory (APRDL), also located in Austin. The PowerPC 603 had 1.6 million transistors and was manufactured by both IBM and Motorola using a 0.5 µm CMOS wafer fabrication process. Apple used the 603 PowerPC processors in their Macintosh, Performa, & some Powerbook computer models, as well as being used in numerous other embedded applications. 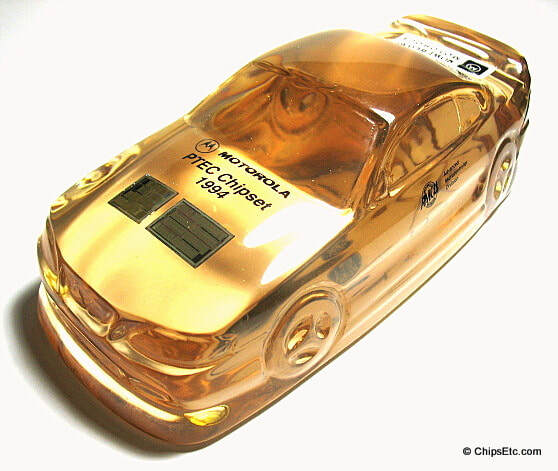 This paperweight was in celebration of Motorola's First Silicon release of the 603 PowerPC processor on July 21, 1995. 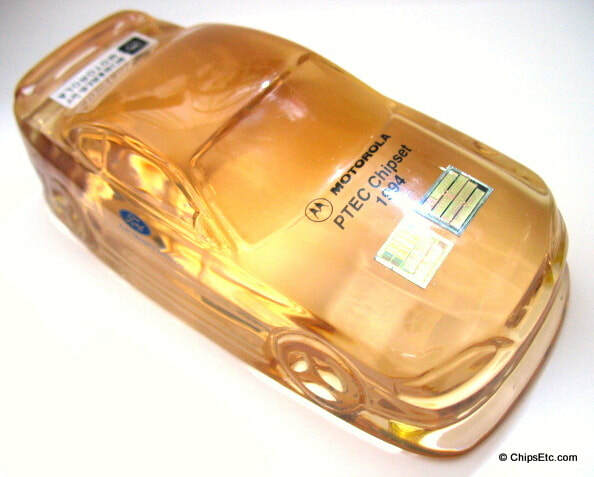 This clear Lucite paperweight was given out to Phoenix Arizona Motorola employees that worked in their Space and Systems Technology Group (SSTG) in 1998. Motorola was the prime contractor to the IRIDIUM global personal communications systems. 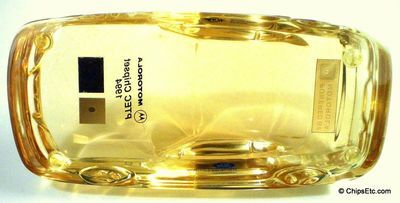 Iridium was developed to wirelessly connect the entire globe through a system of low-earth-orbiting satellites (LEOS) so that Motorola's users could use their cell phone anywhere in the world. 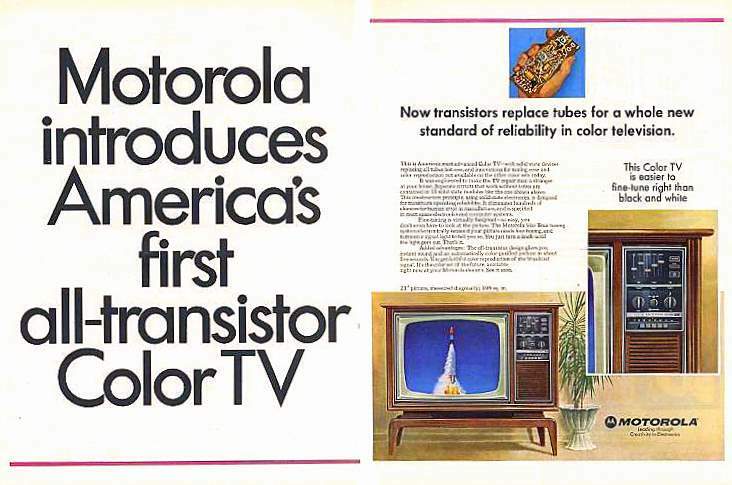 Motorola was one of the world's leading providers of wireless communications, semiconductors and advanced electronic systems, components and services. Motorola was split up into two companies in 2011 - Motorola solutions, & Motorola Mobility (which was bought by google and then eventually sold to Lenovo). 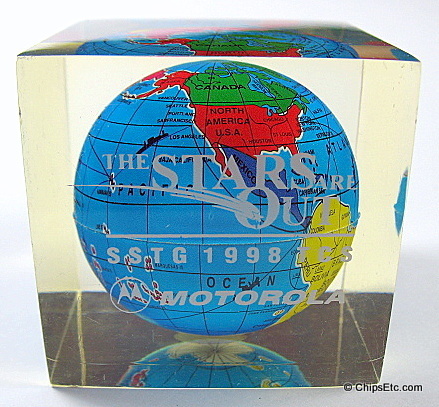 Paperweight features an embedded globe inside and in white lettering on the outside it reads: "The STARS are OUT / STSG 1998 TCS / Motorola". 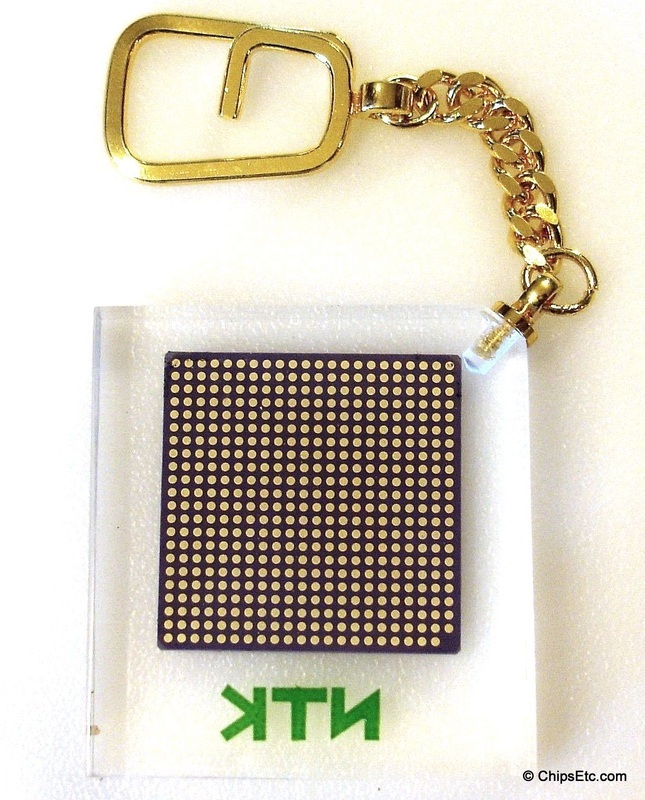 This Lucite keychain from NTK features a bare Motorola PowerPC 7450 processor ceramic substrate which they supplied to Motorola. The 7450 "Voyager", also known as the G4 Plus, was Motorola's second generation of G4 PowerPC processors, and was Apple's first 800MHz processor - heralded as a great win for Motorola and Apple. These processors would have been used to power the Apple Power MAC G4 desktop line of computers. 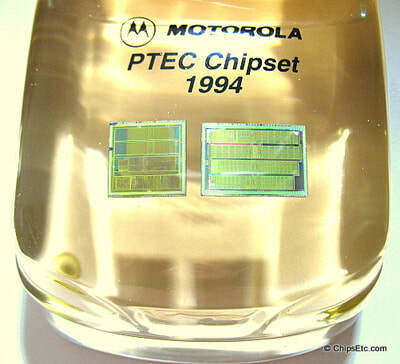 The PowerPC 7450 processor's 33 million transistor silicon die was fabricated at Motorola's MOS 13 facility in Austin, Texas and assembled in the Motorola BAT-1 factory also in Austin.